I found this folded up, wet and laying in some leaves. I can only guess that it blew from down the street where a few teenagers live. 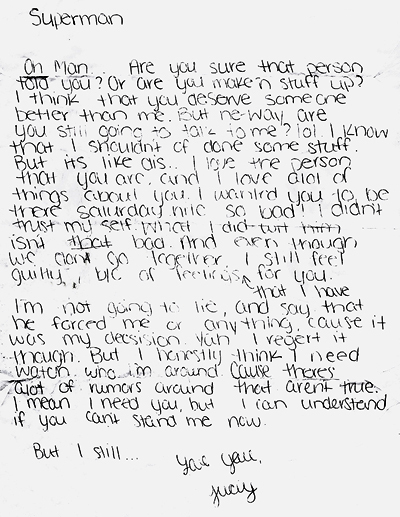 Pretty juicy letter from Juicy.